Want to unleash your inner David Bailey, get the most out of your camera photos in one hour, shoot your friends & family at same time and get great results immediately? 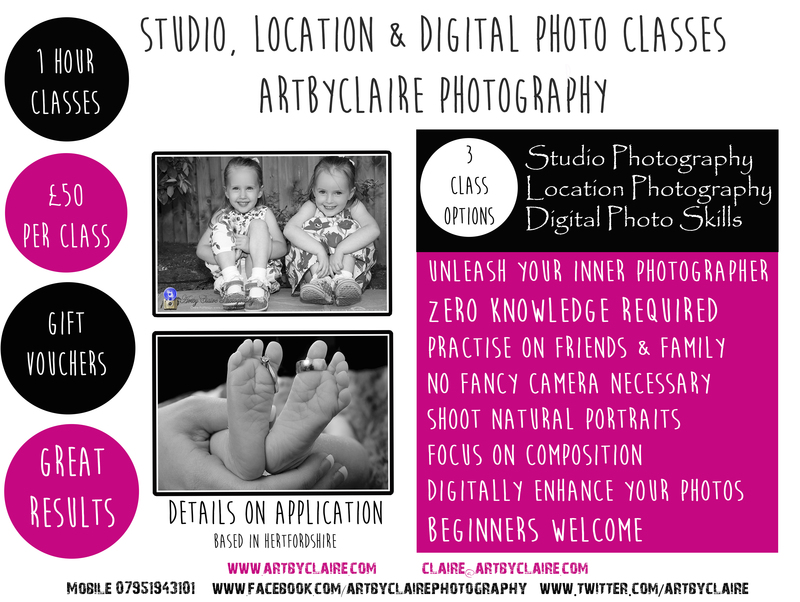 Focus on natural portraiture in ArtbyClaire’s one hour sessions. Combine a Studio or Location shoot with a Digital Photo Skills Class post shoot to enhance all of your photos & learn some Photoshop/Lightroom skills. Take away your enhanced digital images on the day ready for printing when you get home. One on one tutorial or book with a friend. Suitable for beginners and camera phobics – Huge improvements immediately evident. 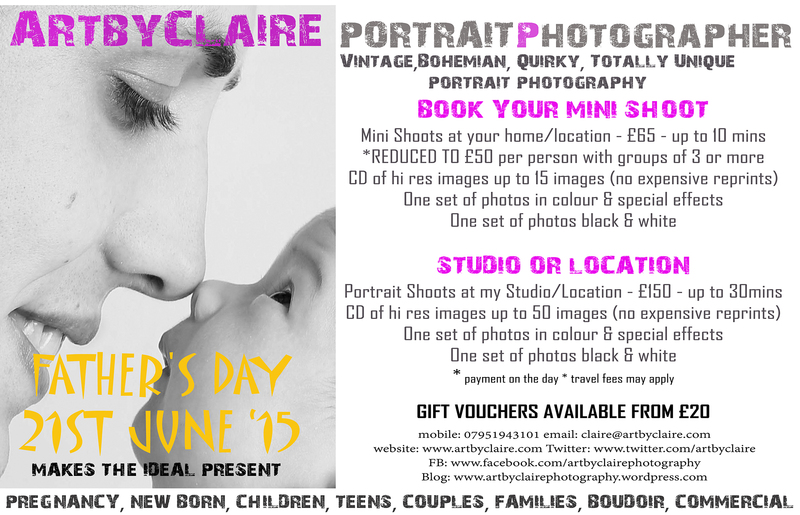 Father’s Day Photo Shoot & Gift Vouchers…..
Father’s Day is coming soon – 21st June 2015 – Gift Vouchers and Portrait shoots available. See my amazing Portrait Offers and Book your shoot with me now. 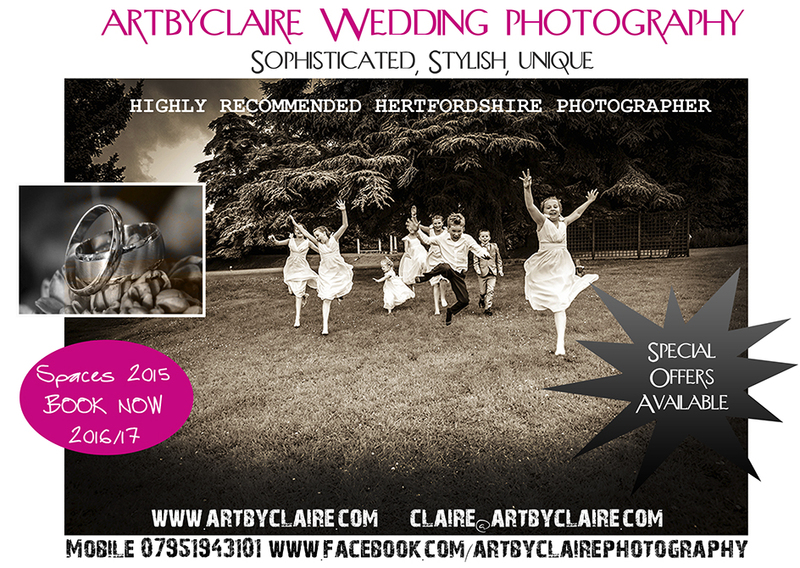 ArtbyClaire Photography specialises in Portrait Photography with a difference. Relaxed, informal, fun and quirky. The best photos come when you are not paying any attention to me whatsoever! I can offer Mini Shoots in your home £65 or Studio or Location shoots £150 only – both options include the DVD of hi res images for you to keep. No expensive reprints. Plus some special creative effects are included and a bonus duplicated set in black and white. I also provide a bonus web ready set for easy upload to FB & Twitter. 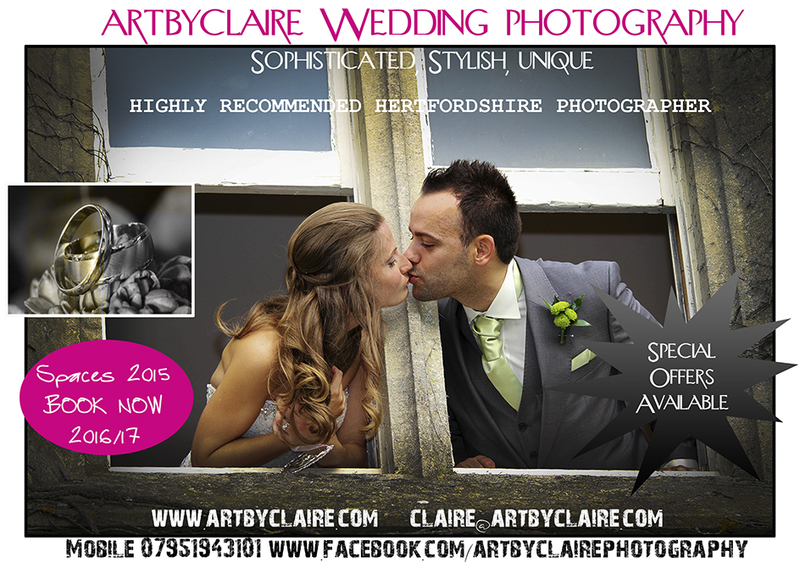 Please Like my FB page to see all ArtbyClaire Portrait Photography latest news and offers, reviews & updates. 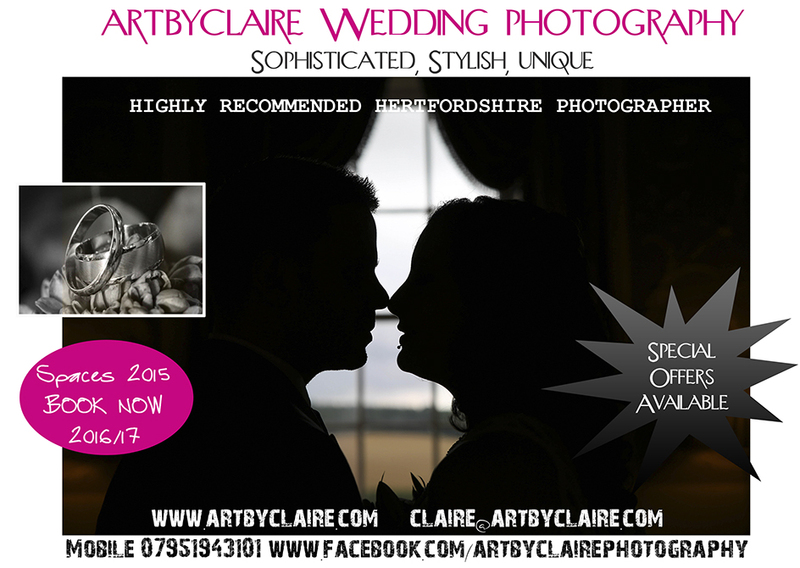 www.facebook.com/artbyclairephotography. 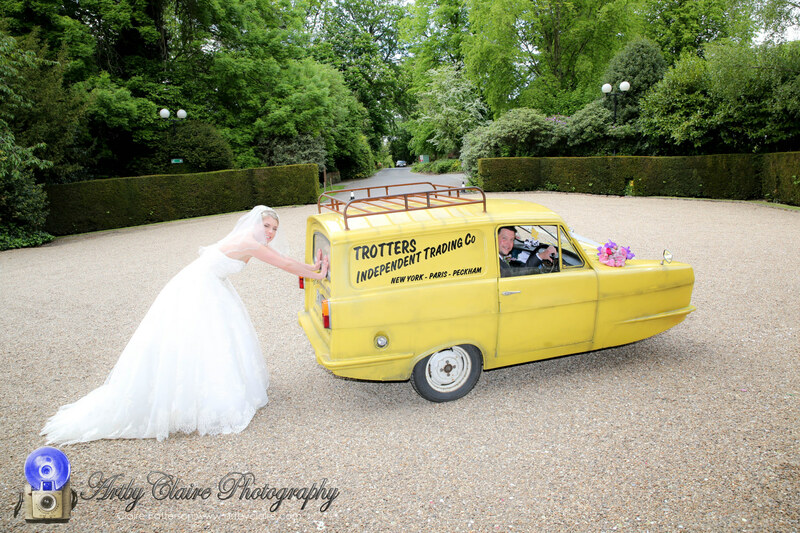 Based in Hertfordshire but happy to travel. Please FB share & Retweet.